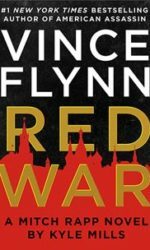 Red War — Available Now! Written for Robert Ludlum’s Covert-One series, this book has an army officer protagonists and a lot of edge-of-your-seat action. Salam al-Fayed is a former Navy SEAL who comes unglued when the government tries to force him to join a new black ops organization after abandoning him in Afghanistan. He’s as formidable as Mitch Rapp but a bit more quirky. Okay, a lot more quirky. Probably my fans’ favorite. The first book I ever wrote and the first starring FBI agent Mark Beamon. He’s a little overweight and drinks too much but he always gets the job done. In this book, he’s tasked with stopping a radical group that is poisoning the US narcotics supply in an effort to kill off drug users. Another Covert-One novel starring Col. Jon Smith and CIA agent Randi Russell. This one involves an entrepreneur who has invented a way to integrate computers and human minds. If you’re interested in technology’s dark side, you’ll like this one. Mark Beamon investigates a well-funded and politically connected cult that has kidnapped a young girl. I was a fanatical rock climber for years and always wanted to write a book with a climber as a character—they’re such intriguing and unusual people. In Free Fall, Mark Beamon gets sucked into a crooked presidential race through a seemingly unrelated investigation involving one of the world’s top climbers. This was inspired in many ways by Tom Clancy’s Cardinal of the Kremlin. It’s long and complex like Cardinal and one of the books I’m proudest of. Mark Beamon again stars. The last of the Beamon series (so far.) This was born from my interest in what would happen if the world’s oil supply was suddenly cut off. A warning: One of the protagonists is a repentant environmental terrorist. That bothered some readers—they just couldn’t forgive. Brandon Vale is a likeable criminal mastermind who is broken out of prison to help stop the sale of WMDs to a terrorist group. Think Oceans Eleven meets Mission Impossible. Dr. Richard Draman is searching for a cure for his daughter’s terminal illness when he stumbles upon a series of secret medical experiments carried out by an invisible organization. Different from the Flynn novels in that Draman is an amateur when it comes to getting shot at, but he’ll do anything to save his daughter. My only foray into the serial killer genre. A fast paced novel that is as much a political thriller as it is a serial killer book. I was living in Africa a few years back and wanted to write something set there. Someone once described this book as The Firm meets the African aid industry and that’s pretty accurate. This is a corporate thriller revolving around the tobacco industry. It flirts with being general fiction and is written in the first person, which some people don’t care for. While it’s last on this list, it may be my favorite of the books I’ve written.